The space shuttle Atlantis is carried back to Kennedy Space Center aboard the Shuttle Carrier Aircraft 747 Jumbo Jet to finally end STS-117 after being forced to land at Edwards Air Force Base in California due to bad weather in Florida. 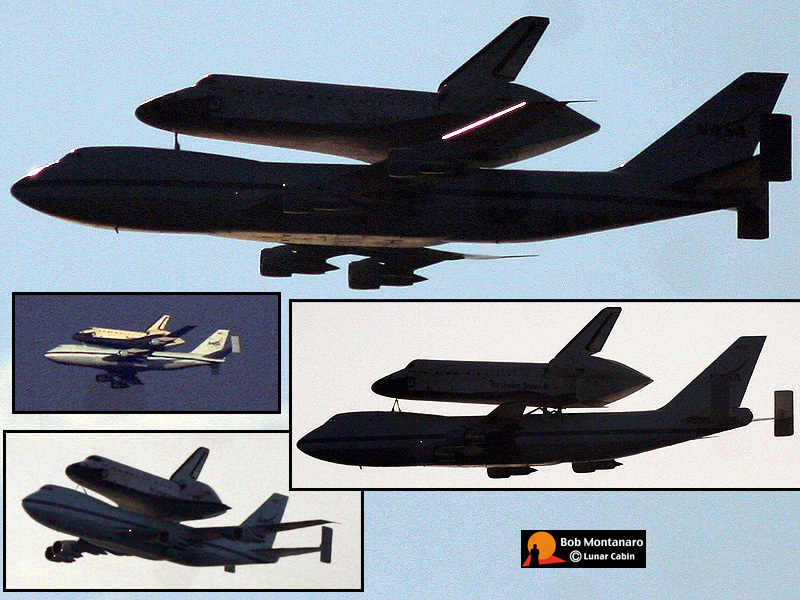 The images were taken at Patrick Air Force Base shortly after 8:00 a.m. on 3 July 2007. Unfortunately, the close pass of the pair occurred almost in front of the Sun making for the silhouettes.